Communities are only as strong as the support they receive from the people who live in them. The attorneys and staff of Corson & Johnson Law make ongoing contributions to our communities both through the firm and individual outreach. Oregon is very proactive in creating laws that focus on the health and well-being of children. Since it’s been passed, the Toxic Free Kids Act has done a great job in identifying, regulating and phasing out dangerous chemicals and replacing them with safer alternatives. Corson & Johnson is committed to improving our community and sparking change across the nation to phase out dangerous chemicals altogether. The number one safety feature of any bicycle is on the rider’s head: the helmet. But good helmets can be financially out of reach for some families. The Brain Bucket Brigade is a program we started to provide bike helmets for kids who might otherwise not have access to this critical safety gear. We also work to educate parents and kids on the topic of helmet safety through our Brain Bucket Brigade pamphlet and videos. We work with Bicycle Way of Life in Eugene to hand out helmets to kids and ensure that each one has the proper fit. A special thank you to Bicycle Way of Life for all their help! If you would like to have a Brain Bucket Brigade Helmet Giveaway at your school, please email us. The non-profit organization, Direction Service, is a one-stop source for information and assistance on programs for families of children with disabilities. It has helped people with special needs, and their families, live their lives to the fullest since 1976. This program stabilizes, strengthens, and empowers families, helping them put the pieces together so they can be safe, secure and successful. Lara Johnson serves on the Board of Directors. After a serious impact and possible concussion, student athletes are sometimes urged to get back into the game without proper evaluation. But changes in the law and research that shows how serious concussions of all levels can be are eliminating that practice. In conjunction with the National Center for Sports Safety (NCSS), we sponsor training for coaches to help them identify concussions and respond safely. To learn more about the symptoms and prevention of sports-related brain injuries, please read through the Centers for Disease Control and Prevention’s Athlete Fact Sheet, Parent’s Fact Sheet, and our Sports Injury Prevention Playbook. One of our favorite causes is Court Appointed Special Advocates (CASA), which provides a powerful voice for abused and neglected children. About a thousand Lane County children live in foster care. In an overburdened system, these children risk slipping through the cracks and suffering from further abuse. CASA volunteers have the power to help prevent further tragedies. They speak for the child in the courtroom, representing the child’s best interests, and work to move the child as quickly and effectively as possible through the system and into a safe, permanent home. 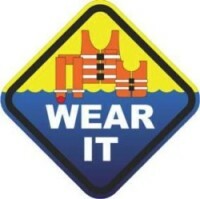 The simple practice of wearing a life jacket while on the river could save a life. Corson & Johnson supports the McKenzie River Life Jacket Lending Program, which offers life jackets to children and adults who would otherwise be without one for the day. The Life Jacket Lending Program is simple: you pick up a life jacket, leave your name, and return it at the end of the day. This program, organized by McKenzie Fire and Rescue, promotes water safety and Personal Flotation Device (PFD) use at all times on the river.